A rendering of the Soccer City stadium. Courtesy FS Investors. 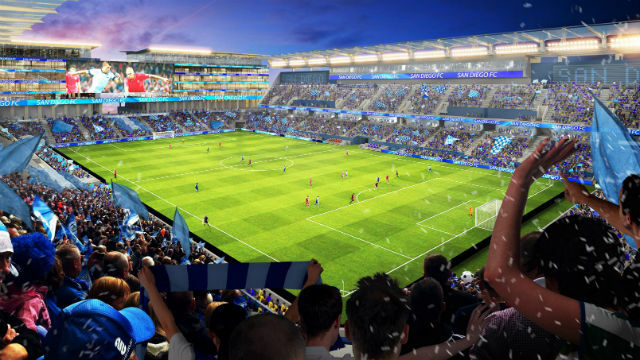 The proposed “Soccer City” redevelopment of the Qualcomm Stadium site in Mission Valley would have an economic impact of $2.8 billion by the time of completion, the San Diego Regional Economic Development Corp. announced Thursday.